Do you face a serious case of city traffic woes every morning, with an added dose of exhaust fumes? Innovators have now worked out a smart and eco-friendly solution — an alternative mode of urban transportation. Introducing Smacircle S1, a carbon fiber e-bike that is lightweight, foldable, packable and can be easily carried in a backpack. The bike industry has seen some creative inventions in the past that unfortunately failed to take off. For example, the Segway, an electric two-wheeled scooter, launched back in 2001, designed with the aim of making commuting through congested roads much easier. But, given reasons including its high costs, heavy weight of about 100lb, and low battery capacity, it hasn’t been as popular as it had been hoped. Although, the biggest disadvantage of such vehicles, in today’s world, is its non-foldability or compactness which means it cannot be parked or stored in space-constrained areas. In contrast, the manufacturers of Smacircle S1 say it is the “lightest and smallest eBike in the world”. With a weight of 15.4lb (7kg), a carrying capacity of about a 100kg and reaching speeds of 12.5mph (20kmph) at a maximum gradient of 15 degrees, the bike runs on a Samsung Li ion 5400Ah battery that takes 2.5 hours to fully charge and lasts up to one hour of continuous riding. Note that powering on-the-go is not an option. It is believed to have an edge over others in the market in terms of technology and long distances coverable. The handlebars of the vehicle are fitted with a slot for a smartphone that runs on iOS or Android, and essentially monitors the power, locks and unlocks the machine, maps routes and can be used to control speed too, if not via the handle. The folding bike is equipped with e-brakes and night lights for optimal visibility to other automobiles and pedestrians. The signature of this stylish yet sturdy carbon fiber mode of transport is being described as its ability to fold into just 19 inches in size by a simple five-step process. 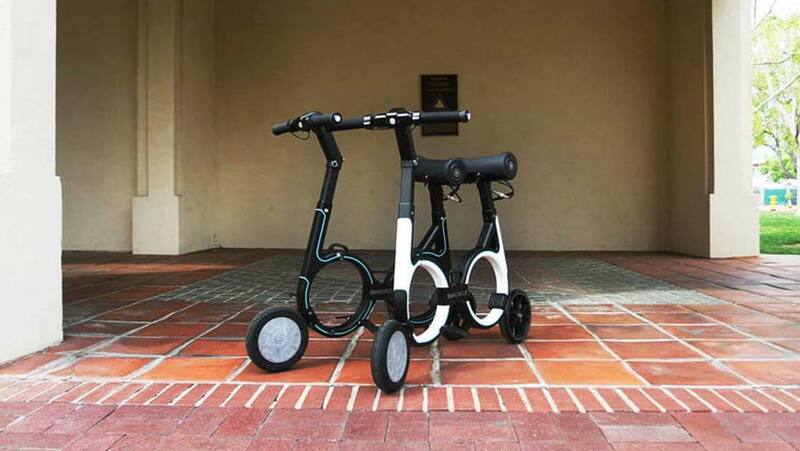 Founder and CEO of the Smacircle, Shanggui Wu, assures potential buyers of the e-bike’s versatility and says it is worthy of the investment (will retail at $1499 and $649 for early birds) even though “unforeseen obstacles could arise during manufacturing process”. The team propagates the idea of green travel and plan on ensuring that the vehicle remains environment-safe. We await the implementation of this high-quality product on roads and hope it is indeed a ‘smart’ answer to our growing traffic, noise and air pollution issues, and space restrictions.